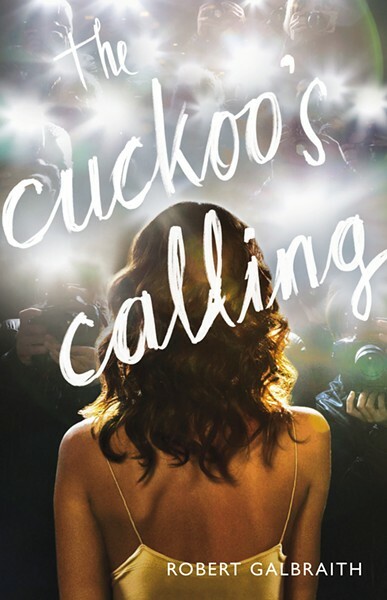 By now, you've probably heard that Robert Galbraith, the author of The Cuckoo's Calling, is really J.K. Rowling. Given how recently Rowling's Harry Potter follow-up, The Casual Vacancy, was released under her real name, it's strange that she would write under a pseudonym. Or maybe not. Like the story's cold body, Lula Landry, Rowling knows the painful irony of fame: It gives you new freedoms as it slowly strips your old freedoms away. The Cuckoo's Calling is, despite all the modern flair, a classic detective story in the vein of Raymond Chandler, and just as good, too. Our PI hero, Cormoran Strike, is a broken man, both literally and metaphorically. The case opens with Strike having walked out on the best relationship he's ever had, a woman named Charlotte who cared for him as he recovered from losing his leg in Afghanistan. He also has one heck of a name. Perhaps that was the first tip-off that Rowling was the actual author. Cormoran Strike sounds like he should be investigating over at the Ministry of Magic. Along for the ride is Robin Ellacott, a 25-year-old temp who's always secretly wanted to be a detective. The story rolls off the page effortlessly — it's a wonder Rowling didn't start with mystery novels. Strike is a fully realized character the moment he literally bursts onto the scene. His life isn't told to the reader as much as it is revealed, the same way you would learn about a friend over time. Rowling judges her characters in the narration, and it allows her to forgo the usual first-person perspective of detective novels. As Robin and Strike encounter the shady suspects in Lula's murder, Rowling rips into her characters happily. Even if someone is cleared of the crime, Rowling makes it clear that few are innocent. The story does suffer from being a little clichéd. Rowling isn't breaking new ground, and she saves the cleverness for presentation, as opposed to the story itself. But when the trip is so engrossing, the reader won't mind having been to this destination before.